It's Cinco De Mayo tomorrow! It's the Mexican holiday which commemorates the victory of their army over the French at The Battle Of Puebla in 1862. 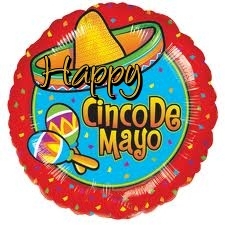 People of Mexican descent in the United States (especially here in Texas which used to be part of Mexico and follows many Mexican traditions) celebrate this significant day by having parades, mariachi music, folklorico dancing and other types of festive activities. But since we're not Mexicans, Cinco De Mayo for me and my family is more like a Mexican Food Eating Day. For the past 7 years that we've been here, we either eat at a Mexican restaurant or prepare a simple Mexican dinner at home every 5th of May. 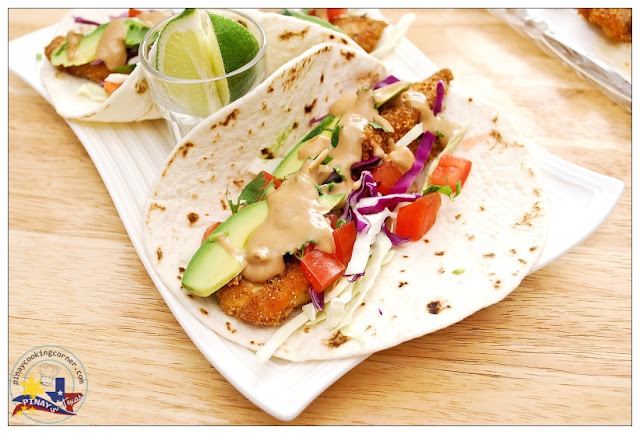 This is based on the Southern Style Fish Taco recipe from my 2005 Southern Living cookbook, which I paired with Hoisin Mayonnaise Sauce that I got from Food & Wine. 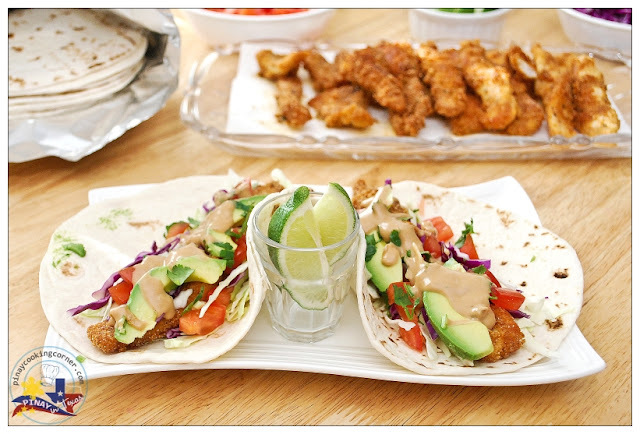 In case you're wondering what Southern Style Fish Taco is...well, it has breaded fried fish while the original taco from the West Coast has grilled fish. 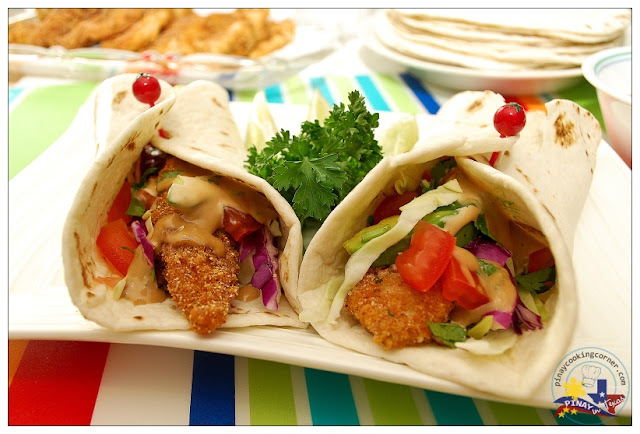 If you'll ask me, I prefer Southern Style Fish Tacos because the breaded fried fish really adds a nice flavor and texture to the taco compared to the grilled fish which tends to be mushy. For the sauce, I prefer the Hoisin Mayonnaise Sauce instead of ranch dressing that is usually used for Southern Style Fish Tacos...not just because of my being Asian (LOL) but because it's so good! I really never thought that hoisin sauce and mayonnaise will work so well together, but I've been addicted to it since the first time I tried it. They really make a good sauce and is so perfect for fish tacos. You should try it! 1. 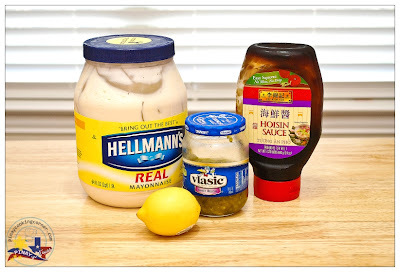 In a bowl, whisk the mayonnaise with the hoisin sauce, pickle relish and lemon juice. Set aside. 2. Sprinkle fish with 1 tsp salt and ¼ tsp black pepper. 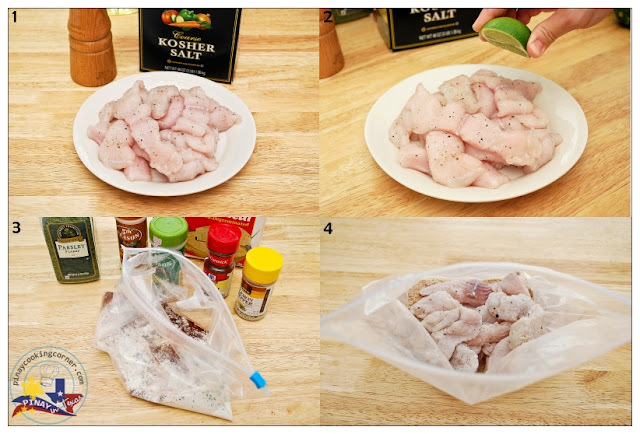 Squeeze juice of 1 lime over fish. Combine cornmeal and next 7 ingredients in a large zip-top plastic freezer bag. Pat fish dry with paper towels, and place in bag, shaking to coat. 3. Pour oil to a depth of 1 inch in a large deep skillet; heat to 325°. Fry catfish, in batches, in hot oil 2 to 3 minutes or until crispy and golden brown. Drain on paper towels. 4. 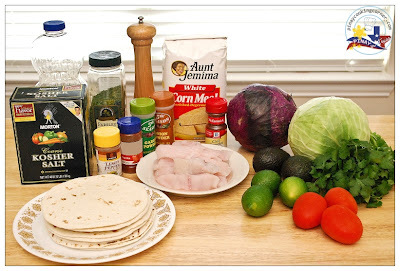 Place catfish in warmed tortillas; top evenly with cabbage, desired amount of dressing, and toppings. Cut remaining 2 limes into wedges, and serve with tacos. With hoisin sauce, Tina? That is a very good twist on the the taco and a great idea. :) Looks delicious. Have a great weekend! Oh yes, Ray and it's so good!! !I got it from Food & Wine years ago, and I've been using it since then. Fish tacos made with catfish does sound delicious. Also, I like the asian twist with the hoisin in the sauce-nice fusion. I will need to try both of these, the sauce would be good for a lot of things. Enjoy the weekend! Awesomely looks so good and my other will love this so much, you know the fish and veges plus the sauces. Fabulous pics and these must have tasted fantastic. hoisin sauce.. i love it already haha. sounds like an asian mex fusion. great take tina! I love the hoisin sauce that you have added to your recipe for additional flavor. The tacos look terrific. I like your photos, they are very original and inspirational too! 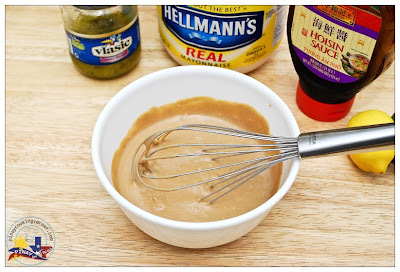 Hoisin mayo is something I can get behind :) I'm definitely going to be making that soon to put on something (it's two of my favorite condiments). Your fish tacos are gorgeous, I love how crispy the fish looks. I have been reading your post ever since and i always try to look for you post first,but i have not tried any of your recipe and i will one of these days.... i do have a question. Do you work or you just cook everyday.Your family is lucky to have a mom like you.Love all your recipe. Happy Cinco De Mayo, Tina! I could almost bite into the crunch, dear! Love this recipe! This would make for a fantastic meal. Love catfish. I've never had a fish taco. Isn't that odd? These look super delicious. Great recipe and very much getting tested out here at the Lunatic household.